Hi again ! 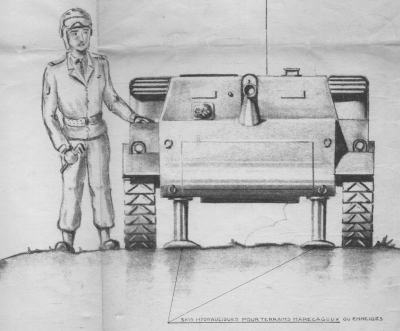 I’m back for another article translation from chars-francais.net, today’s about a little vehicle simply called Henry tank destroyer. 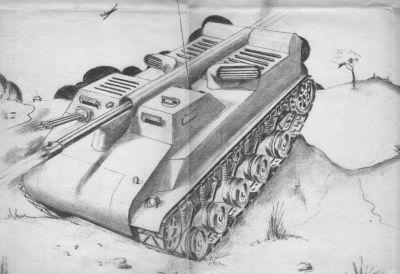 For the eventual new readers, these articles are aiming to highlight some vehicles which aren’t covered by World of Tanks (yet), so in other words, vehicles that not everyone is aware of. 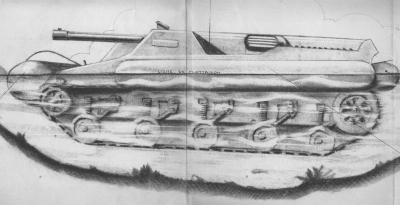 Parachutable amphibious tank destroyer project dating from 1951, made by civil engineer M.G. Henry. 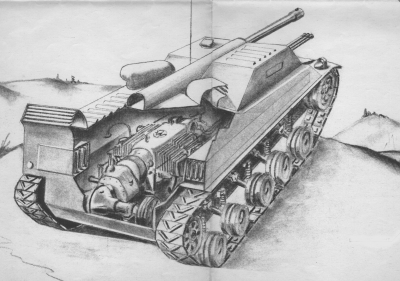 The tank is equipped with a recoilless gun of undefined caliber mounted fixed in the axis of the machine. Hydraulic skis placed below the hull are supposed to improve the crossing of marshy or snowy terrain. Inflatable ballonets are arranged around the hull in order to provide the vehicle an amphibious capability. The crew consisted of 2 people. This project never went further. See the original article (in French) by clicking right here. I hope you enjoyed this post, feel free to comment your thoughts about such articles, and see you in the next one ! Take care meanwhile. Most likely a 105 mm Recoilless Rifle, which was popular around the 1950s. Seen on the M50 Ontos, for example. Apparently it’s too popular. I know it’s not a 105mm but here’s a picture of an interesting vehicle.